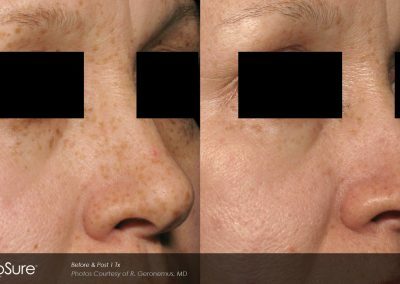 Pico-Facial Skin Rejuvenation Treatment - Reducing wrinkles, brownspots, acne scarring, sunspots and more! The next generation of anti-aging treatments are here! PicoSure is a revolutionary aesthetic laser and repairs skin damage with targeted microlaser bursts. 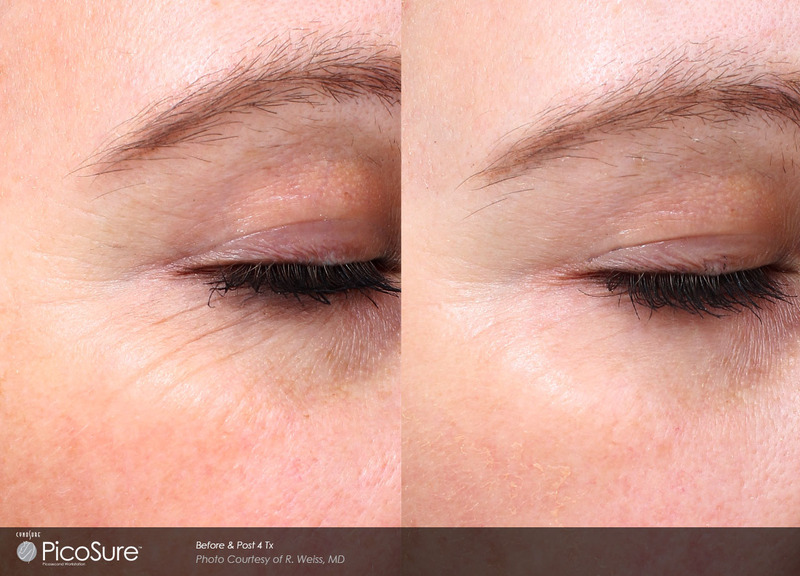 Fine lines, crow’s feet and wrinkles are no match for PicoSure’s advanced technology. 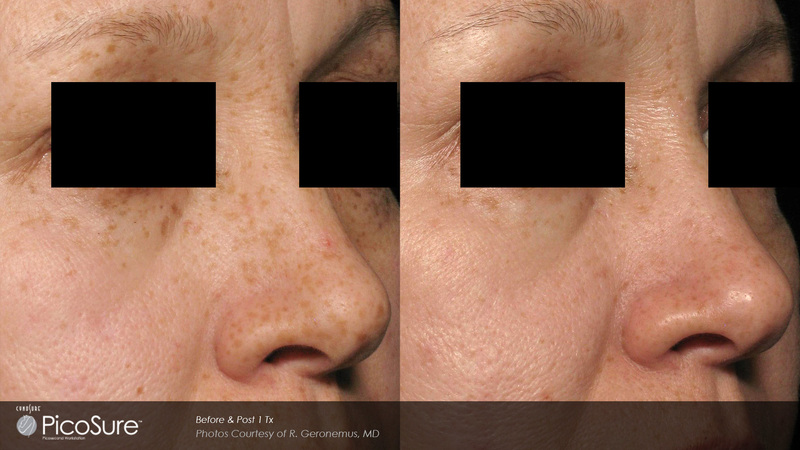 Laser skin revitalization will provide amazing results with little downtime. 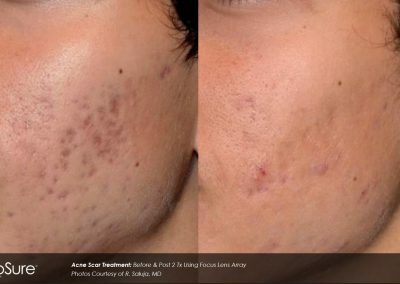 Acne scarring can be traumatic for both teens AND adults. Now you can forget the past and remedy acne scars with the noninvasive technology of PicoSure. 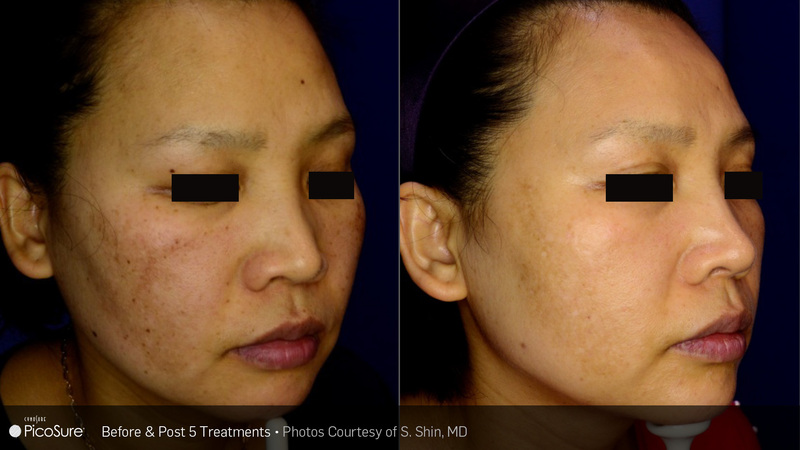 Laser scar treatment can significantly fade even the worst acne scars and restore the skin’s youthful appearance. 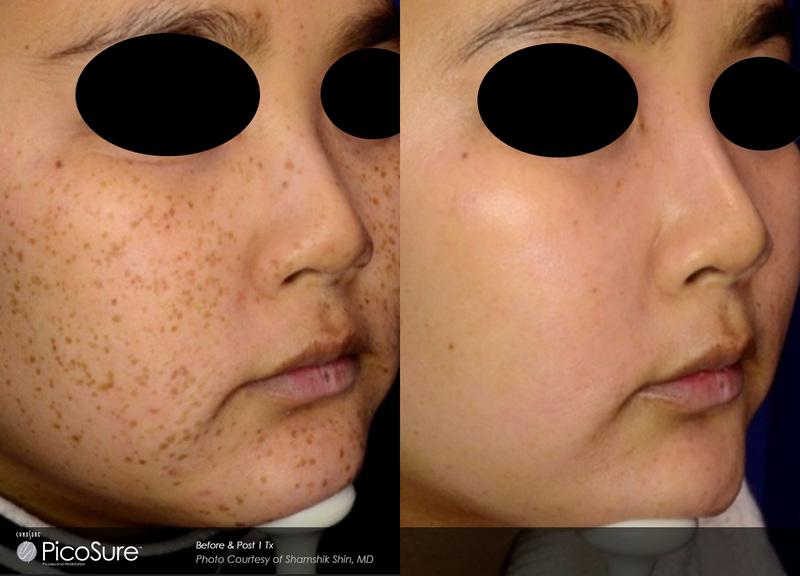 Do you have birthmarks, freckles or sun spots caused by UV exposure that you would like to permanently remove? 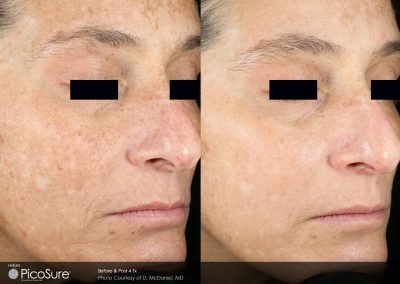 Now with PicoSure dark spot removal laser treatments, you can eliminate excess pigment and create the clear complexion that you desire. 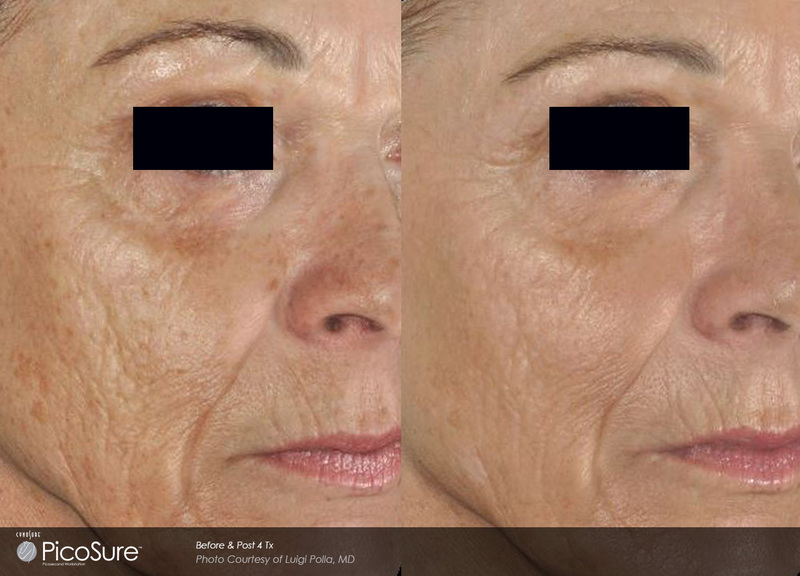 PicoSure’s revolutionary technology can rejuvenate your skin in just a few quick and easy sessions. Instead of destroying tissues like surgery does, PicoSure laser skin rejuvenation activates the body’s own collagen and elastin production mechanisms to heal wrinkled or sun-damaged skin. PressureWave technology safely sends laser pulses lasting one trillionth of a second, 100 times faster than a nanosecond laser, deep below the surface of the skin to target problem areas. 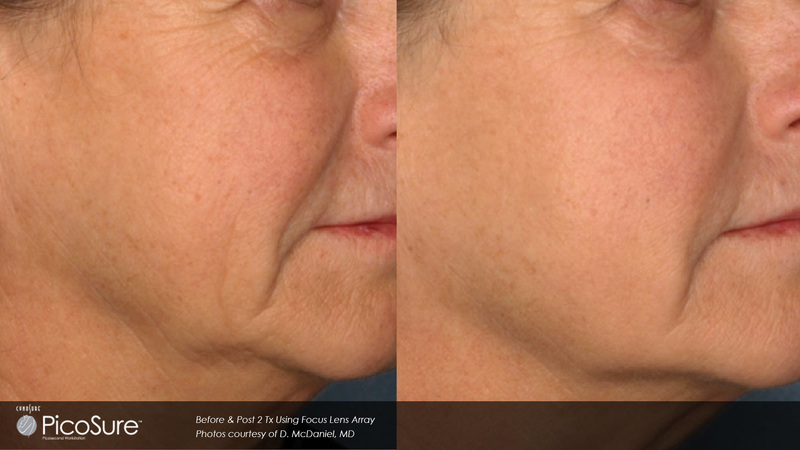 As the body works to heal the laser-damaged tissues, more youthful-looking skin appears. Best of all, PicoSure laser treatments are precise and the surrounding skin is not permanently damaged or scarred by the procedure. In just a few short sessions, laser anti-aging treatments can considerably change the appearance of your skin. Depending on your skin type, several sessions may be recommended to achieve the best results. PicoSure laser skin revitalization is relatively painless, with most patients comparing laser pulses to the snap of a thin rubber band. 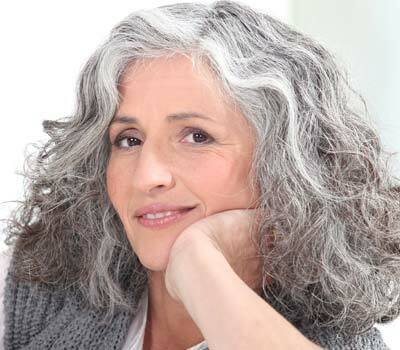 Laser wrinkle reduction treatments have few side effects, which usually include some redness and minor swelling. Patients can typically resume their normal activities immediately following treatment. Scars can be an unwelcome reminder of past pain or trauma. Now you can forget the past and remedy acne and surgical scars with the noninvasive technology of PicoSure. 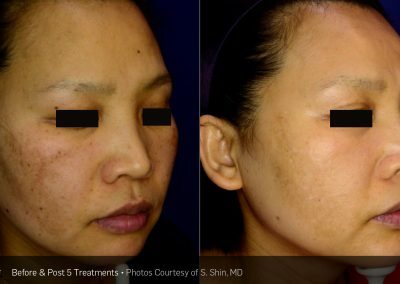 Laser scar treatment can significantly fade even the worst acne and surgical scars and restore the skin’s youthful appearance. How do Laser Scar Treatment Work? PicoSure uses laser energy microbeams to extend deeply below the surface of the skin to create areas of affected tissue. Then, the body’s natural healing processes create new, healthy skin cells to replace the areas of damaged tissue. PicoSure laser anti-aging treatments do not damage the surrounding skin, giving you impressive results in very little time. 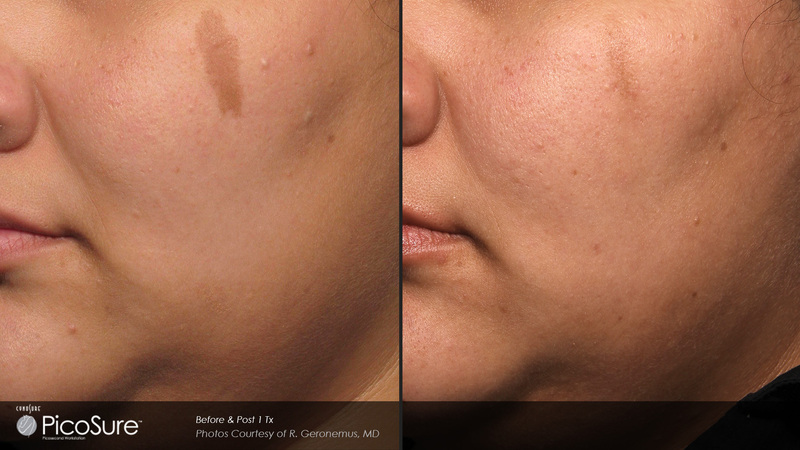 Laser scar treatments can be used on practically all areas of the body, including the face. Icon laser treatments are suitable for all skin types, including very light and very dark skin. Reducing the appearance of scars is quick and easy with treatment sessions lasting about 30 minutes. 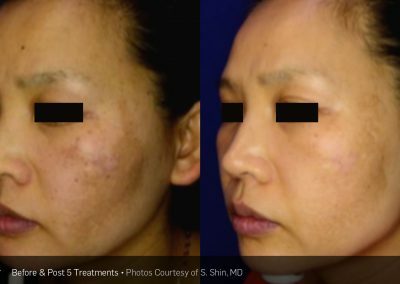 Most scars will require three to five sessions to achieve the best results. 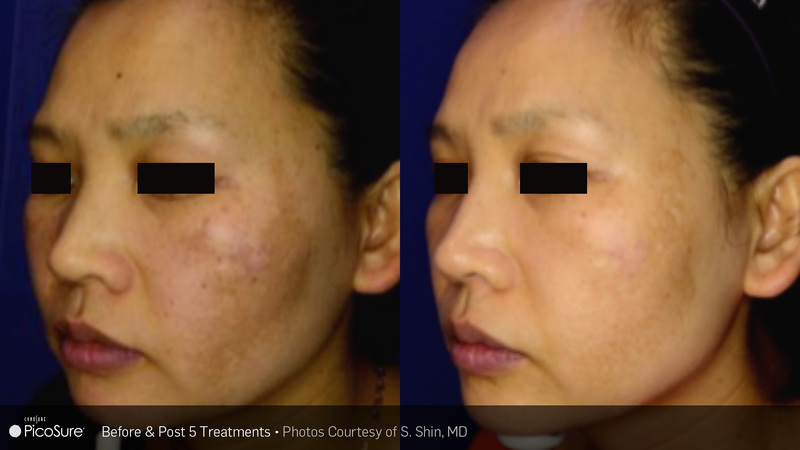 Laser scar treatments have few side effects including some temporary redness and swelling at the site of the scar. Patients are typically able to resume their normal activities immediately following the procedure. Removing your scar with PicoSure and loving your skin again can be as easy as contacting Laser Ink to set up a consultation today! PicoSure sun spot removal is particularly effective because lasers can reach deep below the surface of the skin to destroy the melanin that causes hyperpigmentation. 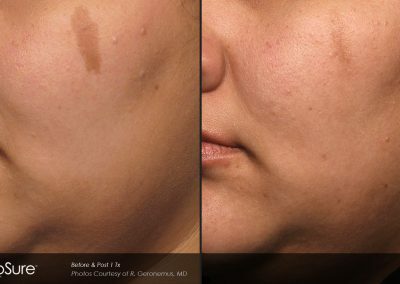 PressureWave technology safely sends pulses lasting one trillionth of a second, 100 times faster than a nanosecond laser, underneath the surface of the skin to blast away brown spots. The laser breaks up dark spots into tiny particles that are absorbed by the circulatory and lymphatic system. Over time, brown spots and dark spots on the face, neck, chest, hands, arms and legs fade away. 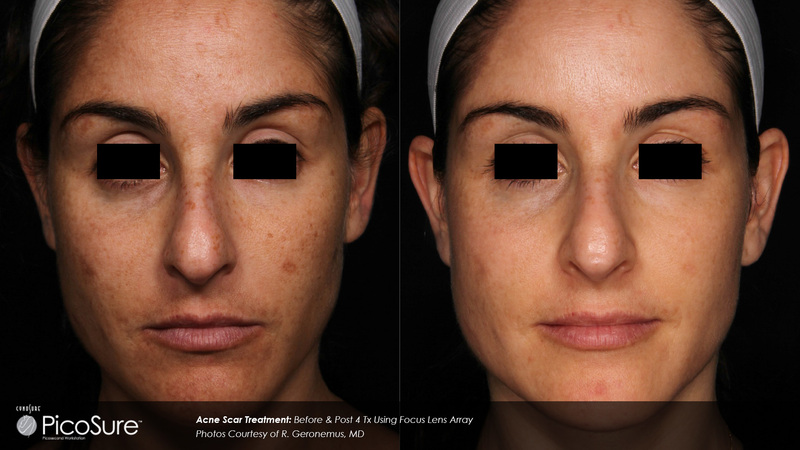 Laser dark spot removal treatment is fast, with most sessions lasting just under an hour. Depending on the darkness and size of your brown spots, several treatments may be recommended to achieve the best results. PicoSure sun spot removal is relatively painless, with most patients comparing laser pulses to the snap of a thin rubber band. Laser treatments also have few side effects, including some redness and minor swelling. Most patients typically resume their normal activities immediately after treatment. 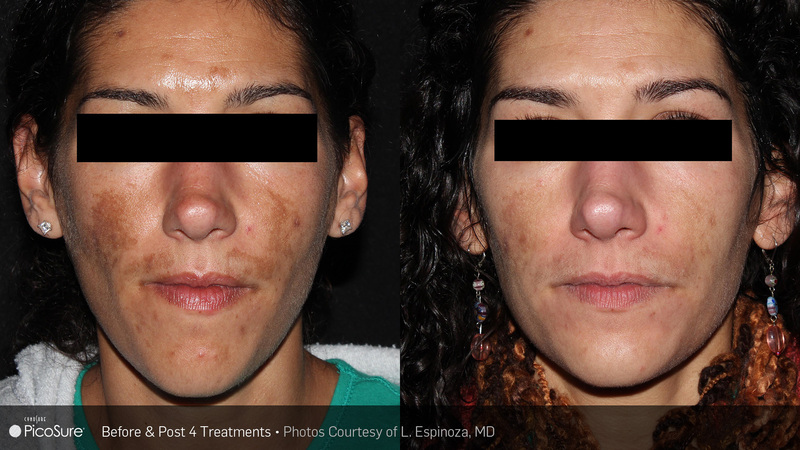 If dark spots are clouding your complexion, call Laser Ink today to schedule a consultation! This is a specialized pigment and scar reduction lens that is used on the PicoSure Laser. It is FDA approved for the reduction pigmented lesions such as sun spots, age marks and birthmarks. 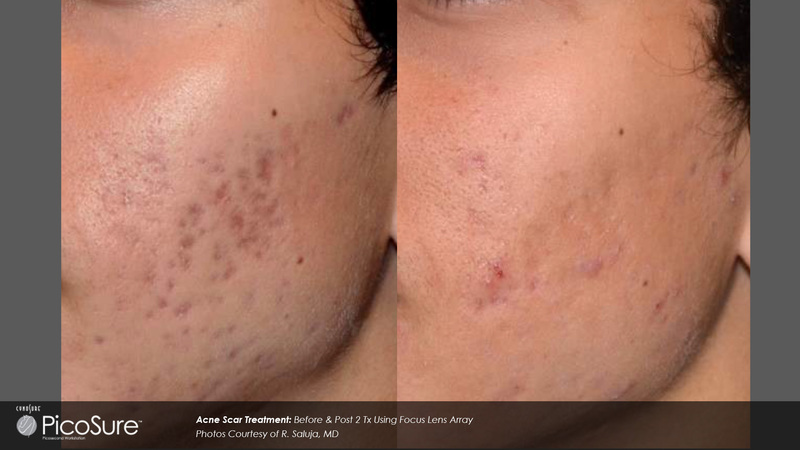 Also FDA approved for acne scar reduction. This is a powerful collagen and elastin stimulation treatment. 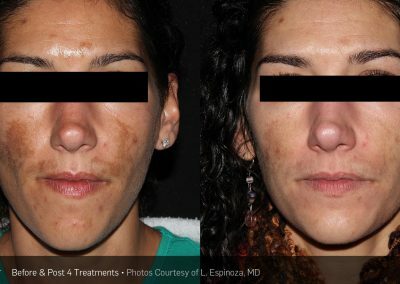 It can be used to reduce the discoloration of melisma and rosacea, however these conditions are difficult to treat with any laser and typically return to some degree after laser treatment. There is no down time with this facial laser treatment. Amazing results which is why it is so popular. 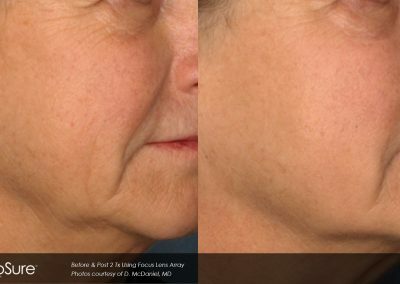 PicoSure represents a major advancement in laser facial rejuvenation treatments. 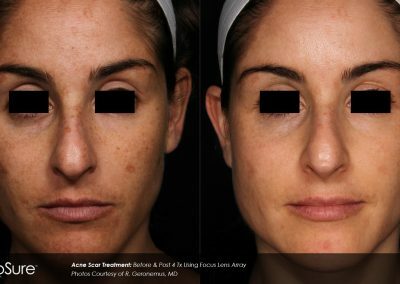 Whether it is dark spots, wrinkles, acne scars or birthmarks, our technology can make amazing facial transformations a reality! We are proud to offer the only certified PicoSure Laser Technology in New Hampshire!